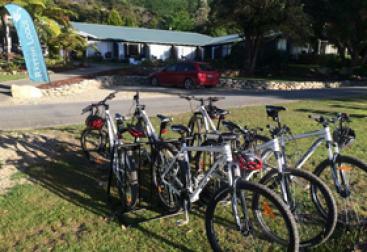 ... is what luxurious Raetihi Lodge prides itself on. 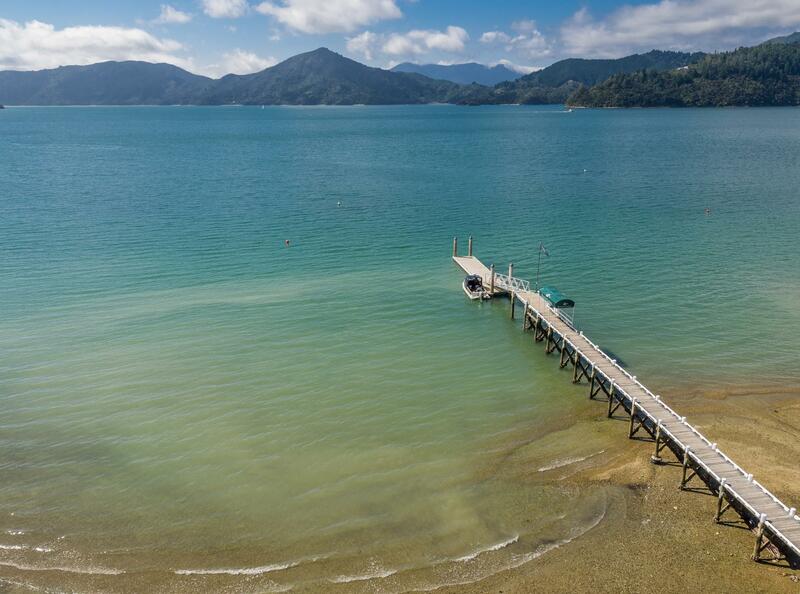 Nestled in the stunning Marlborough Sounds, Raetihi Lodge is the perfect escape for you, your friends and loved ones. The tranquillity of breathtaking ocean views, sunsets and birdsong, coupled with the feeling like you’re sitting in the comfort of your own home being spoilt with the service of a boutique hotel. Recently refurbished in 2014, Raetihi Lodge prides itself on its casually elegant interior design complemented with warm service, intangible conversations, fresh local produce and culinary creativity. 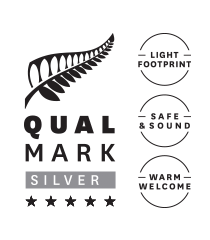 Our accommodation, restaurant and facilities are rated 4-Star Plus Boutique Qualmark amidst the serenity and natural beauty of the New Zealand native bush, wildlife and beaches. The lodge features 14 rooms and can accommodate up to 30 guests. 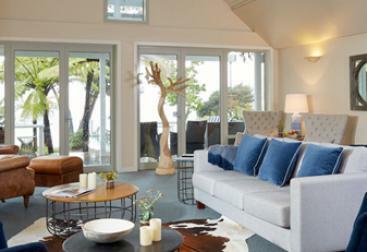 Raetihi Lodge has built a reputation as one of the most popular, memorable destinations in the Sounds dating back to the 1930’s. Destination Dining is here for you. Book a table and let our chefs indulge you. "Once again, exceptional! Our third time back to Raetihi, and as always couldn't ask for more." "We had a lovely stay here in February for my 65 birthday, great service, the best beds I've ever slept on, we have stayed in many hotels around the world and the beds are always very hard. Loved not having a TV in the room your not disturbed by the next room, there is a TV room with a large TV and snooker table." I still talk about our two nights there, best recovery ever...never been able to get that same sense of relaxation and rejuvenation anywhere....hoping to return to Raetihi some day! "We stayed here whilst on our honeymoon in October 2015 & I can honestly say it is the nicest place I have ever been. Picture perfect setting scrupulously clean, comfortable & stylish. The food was first class even if you are not staying it is well worth a trip to the restaurant alone. The staff were brilliant and us treated more like family guests than paying guests." 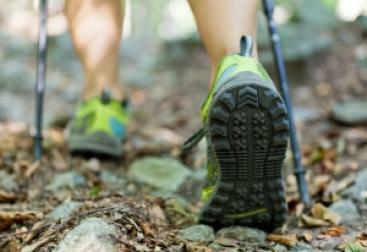 "From the moment we arrived, exhausted from a 29km trek, we felt taken care of by gracious and warm staff. Lovely room, gorgeous view, very good food (and I don't say that often). Hated to leave. By far our best night on the Queen Charlotte track." “Raetihi Lodge is ridiculously beautiful! I had no idea that such a place existed – its takes your breath away. Arriving by boat through the Sounds every photo is a postcard (hence I guess their gallery of beautiful pics that line the hallway?). Its obviously recently been refurbished and is really delightful, very relaxing and tasteful. Lots of areas to hide in … the kids loved the kayaks and SUPS we loved that we could have a quiet glass of the beautiful NZ wines overlooking the water while they were occupied elsewhere. We met the new owners Liane and Alan who are very enthusiastic, lots of energy … it must be catching the staff are too. Can't recommend it highly enough." 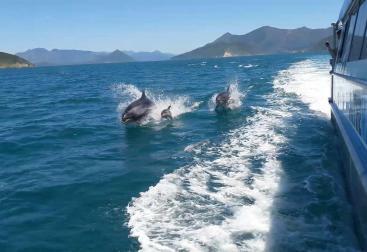 "The lodge is in a beautiful spot in Marlborough Sounds. The water front room with sitting area outside is very comfortable; the staff are very helpful and we have enjoyed relaxing, golfing with the sheep & kayaking. We definitely recommend it for a wonderful stay. We came for 2 nights and stayed for 3." "A Slice of Heaven! 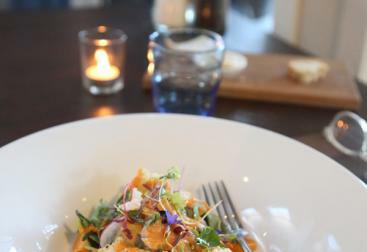 Very attentive staff, a drop-dead view on Marlborough Sound from our porch, wonderful meals. My wife treated herself to an hour massage; I kayaked and mountain biked the roads using courtesy equipment. Highly recommend the Lodge!" 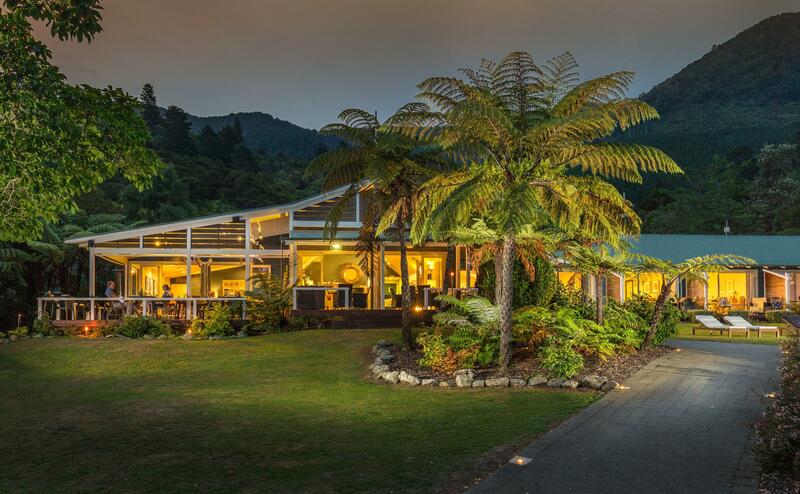 "Since Raetihi Lodge has changed hands, the improvement has been dramatic. As a bach owner in the area, we have long missed access to this level of service and presentation. The attitude of owners and staff is commendable. Pricing is well below what you may expect in such a location, and service is consistent and pleasant. Over Xmas we dined there three times, twice using the fantastic in-house Water-taxi, and once in our own boat. I cannot recommend it highly enough!" If you love tranquility, peace and nature, Come.